Nobody wants to spend their summer in the kitchen! 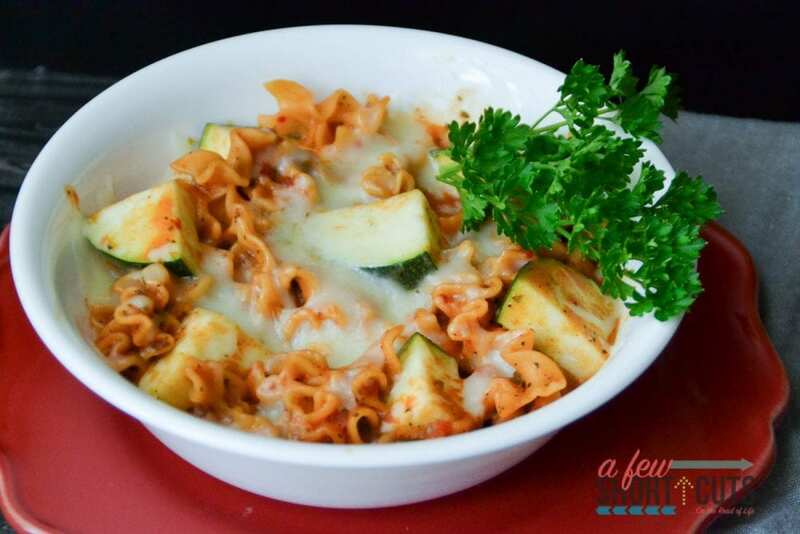 I am all about short cuts when it comes to dinner, that is why I kind of cheated the system today and made this Quick & Easy Zucchini Lasagna Bowl. I delicious way to sneak veggies in and you will never guess how I made it! 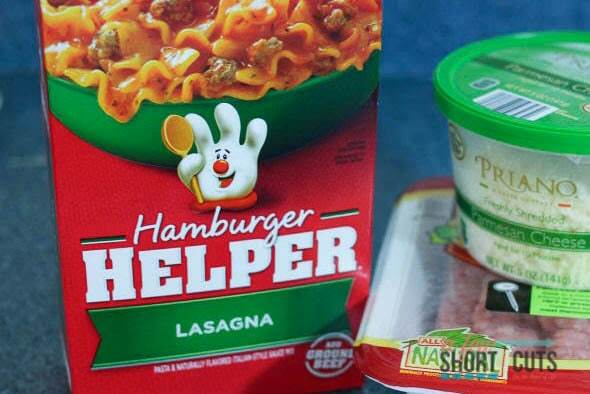 My secret weapon was Hamburger Helper® Lasagna! YEP, I cheated. I grabbed this and a couple zucchini while I was out at Walmart earlier. But I did add my own flair. 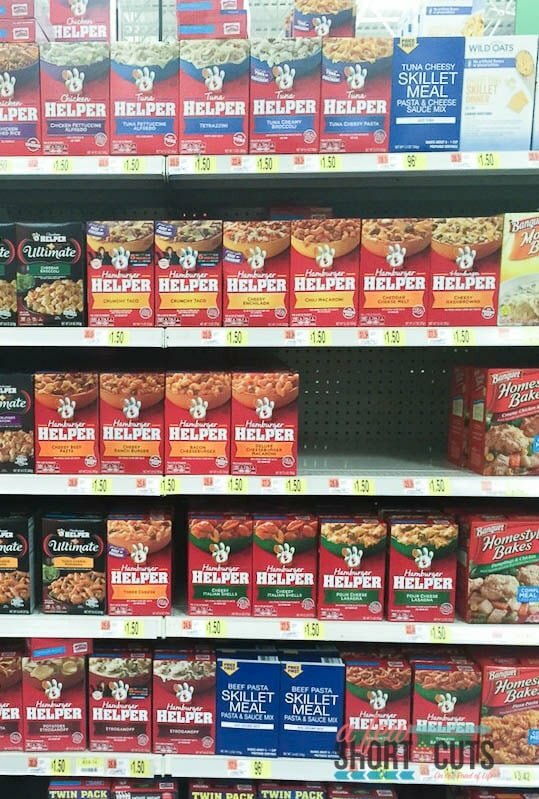 Walmart seriously has so many different varieties of Hamburger Helper® to choose from. Glad I already knew what I wanted or this could have been a hard decision. I browned my ground beef. Then I diced 2 zucchinis. They are in season right now and really affordable. I made the Hamburger Helper® according to the package. I sautéed the zucchini is a separate skillet with olive oil. I mixed them in at the very end. Then I topped the entire skillet with some fresh shredded mozzarella cheese. I popped it under the broiler just long enough to give it a good melt. Serve this with a nice fresh garden salad and you have dressed up a simple and affordable dinner. Prepare the Hamburger Helper® according to package instructions. While it is simmering, sautee diced zucchini in a medium skillet. 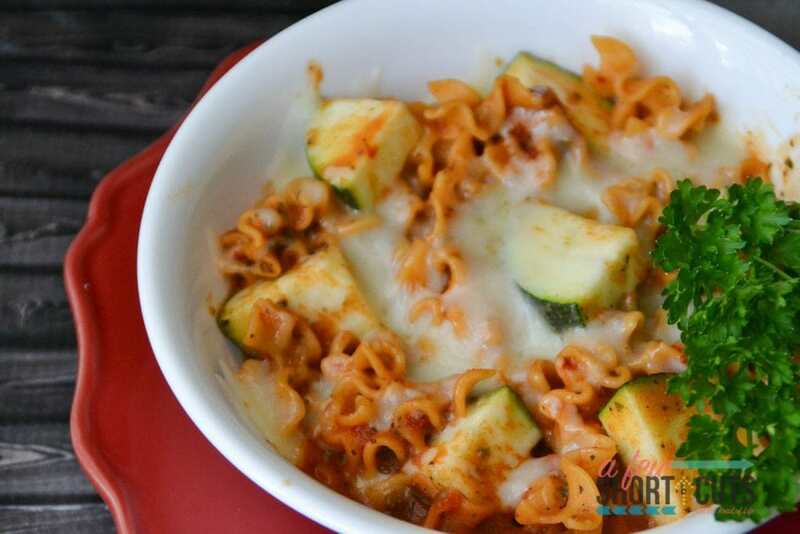 Stir the zucchini into the hamburger helper right before serving. Top with the shredded mozzarella cheese and pop under the broiler for 2-3 minutes just to get it good and melted. This is such a perfect quick & easy summer time dinner. 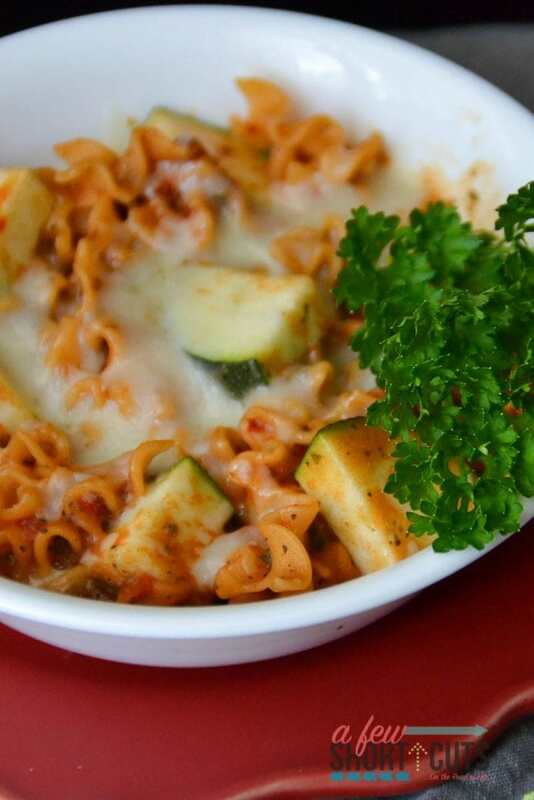 The kids love it because it is cheesy, I love it because of the veggies and how simple it is. It is a win – win.